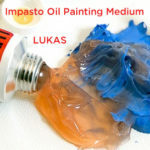 Are you an artist that creates lots of smaller-sized original paintings? 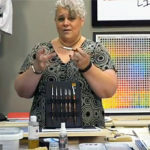 Then you’ll love new Ready Cut Watercolor papers from Strathmore Artist Papers. They offer you the convenience of standard size sheets for the best-selling sizes of ready made frames and mats. And that saves you time and money. Choose from cold and hot press finishes of 500 Series premium watercolor paper made from 100% cotton fiber that is archival, lignin free and acid free. Ready Cut Watercolor is even packaged in a resealable bag that protects your paper from damage and provides the perfect storage solution. 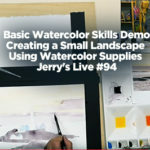 Check out Jerry’s for great savings on new Ready Cut Watercolor.